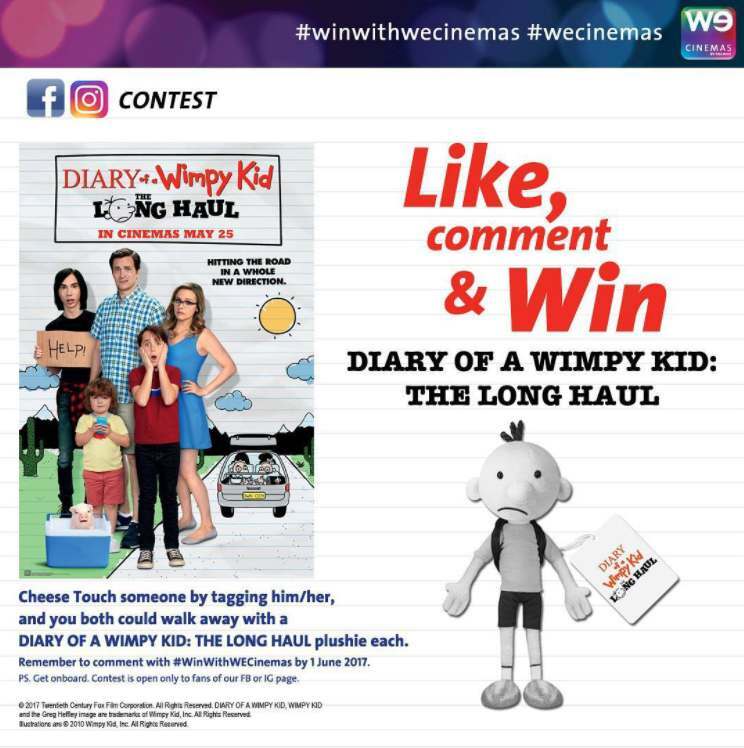 Cheese Touch someone by tagging him/her & you could both walk away with a Diary of A Wimpy Kid: The Long Haul plushie. Remember to comment with #WinWithWECinemas by 1 June 2017. PS. Get onboard. Contest is open only to fans of our Fb or IG page. Find out more at WeCinemas.